Westchester County has an extraordinary trail system that covers areas north to south, east to west. 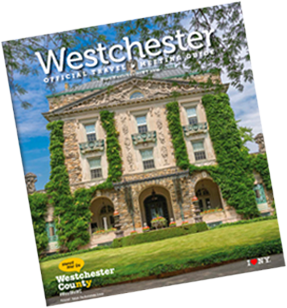 Discover and explore using our online Outdoor Hike, Bike and Explore Westchester itinteraries or download one or all six of brochures and maps below. Westchester trails offer picturesque scenery, parks, picnic spots, restaurants, historic sites and nature preserves along their routes. Cross-country skiers can enjoy the snow-covered trails in winter. Trail details include distances, access points, historical notes, sites of interest, and parking locations, if available, near the trails&apos; main access points. Briarcliff - Peekskill Trailway Unpaved trailway in 12-mile linear park from Ossining to the Blue Mountain Reservation in Peekskill. No bicycles. Bronx River Pathway Three paved segments extending nine miles in an 807-acre, linear park. Ideal for bicycling, nature study, hiking and walking. Colonial Greenway Fifteen-mile, unpaved trail with varied surfaces. Hiking, walking, nature study. No bicycles. North County Trailway A 22.1-mile trail from Mount Pleasant north to the Putnam County line in Yorktown. Old Croton Aqueduct Trail/ State Historic Park Tree-lined, 26.2-mile portion of a 41-mile trailway shows off historic treasures along the Hudson River. Aqueduct is a National Historic Landmark. Trail connects to 97-acre Croton Gorge Park, with view of dam. Detailed trail map for sale. Open year-round. South County Trailway A 14.1-mile paved trail from Yonkers to Elmsford. In addition to these county trails, cyclists, skaters, walkers and joggers can take on the scenic Bronx River Parkway on Bicycle Sundays. From 10 a.m. to 2 p.m., during May, June and September, a seven-mile stretch from Yonkers to White Plains closes to vehicles. For exact dates and other information, call (914) 864-PARK. Transit-friendly bike tours with camping. All tours are 100 percent transit accessible. Enjoy beautiful, scenic riding, all close to home. Rides focus on bike paths or quiet back roads – ride options include beaches to farms, Hudson Valley, Spring and Autumn rides, custom tours. Small groups, families with kids welcome; LGBTQ friendly. We can get you to a train or bus station and get you home if you can’t finish the ride. Visit their web site, e-mail info@gothambiketours.com or call (917) 748-1119. RiverWalk is a work-in-progress that, when completed, will link village centers, historic sites, parks and river access points via a connection of trails, esplanades and boardwalks. It spans 14 municipalities in Westchester and is part of the Hudson River Valley Greenway system. Completed sections in Croton-on-Hudson and Tarrytown-Sleepy Hollow are popular spots to walk along the Hudson. Learn more about the RiverWalk project and perhaps find some time while in Westchester to take a stroll.